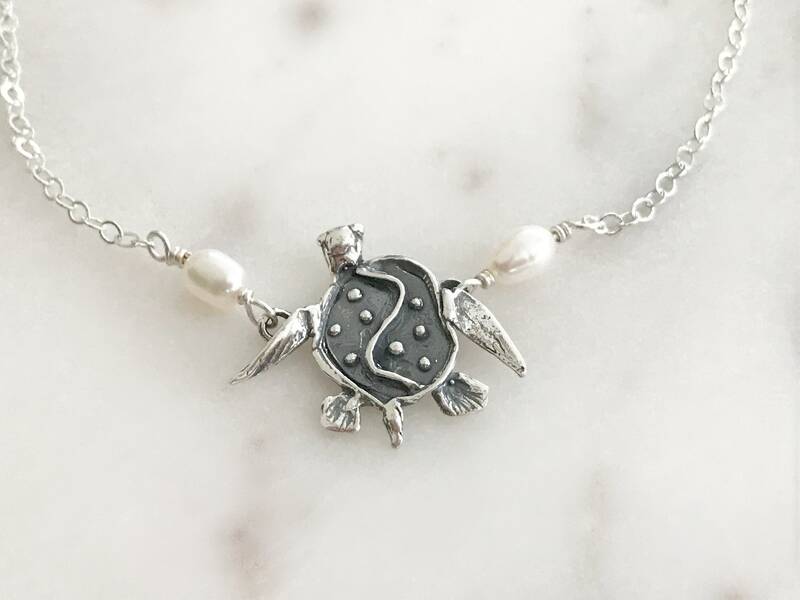 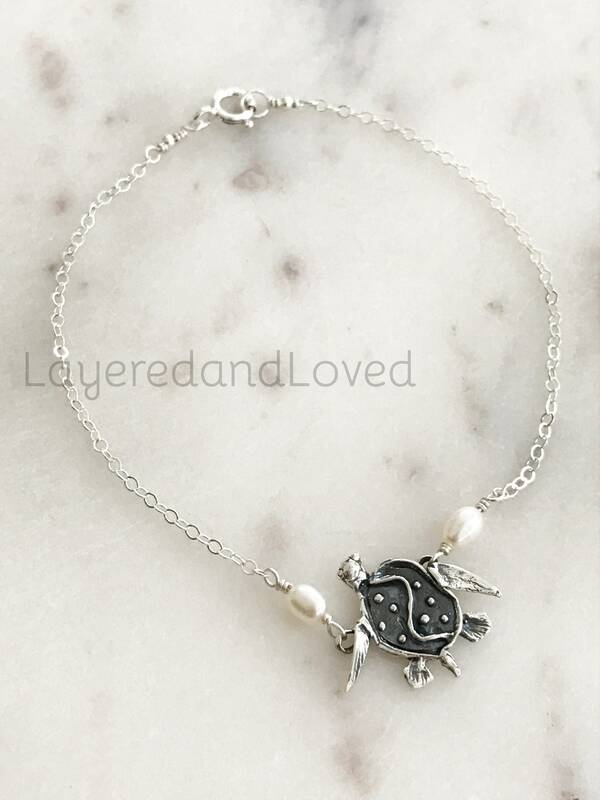 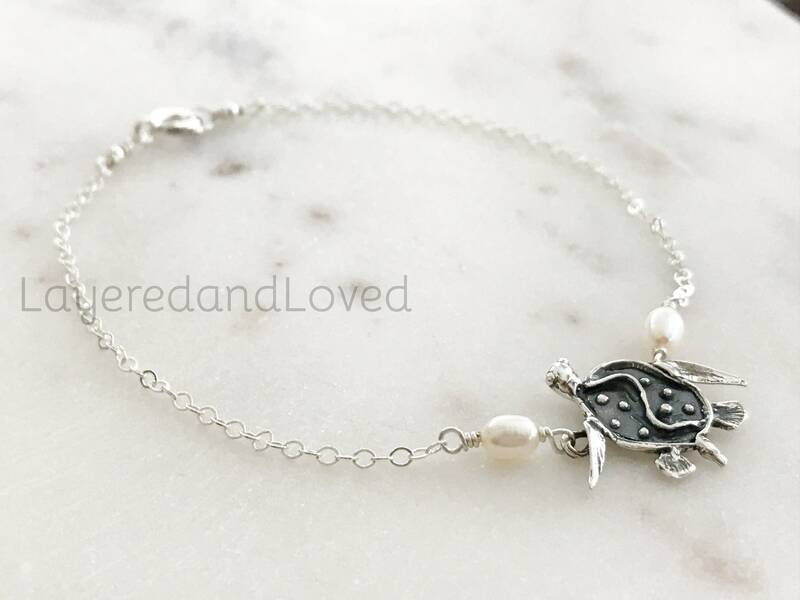 🐢 Beautifully detailed sterling silver sea turtle charm connected to lustrous white pearls and strung on a silver tarnish resistant artistic wire. 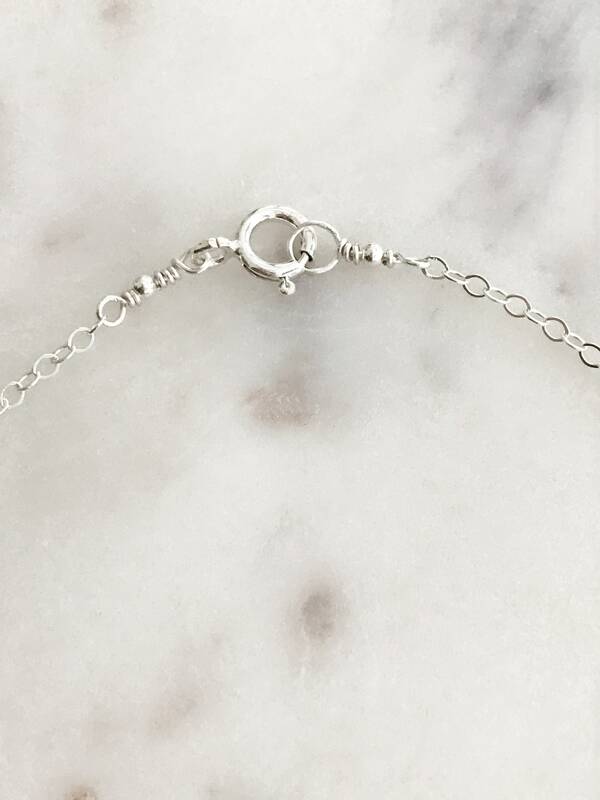 These are then connected to a sterling silver chain and finished off with sterling silver beads wired to the connectors. 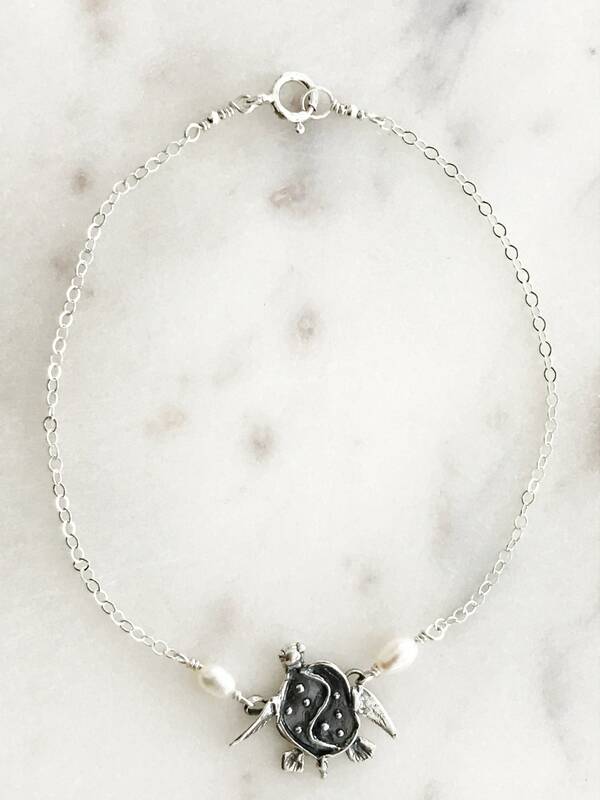 You will receive a polishing cloth to keep your anklet polished. 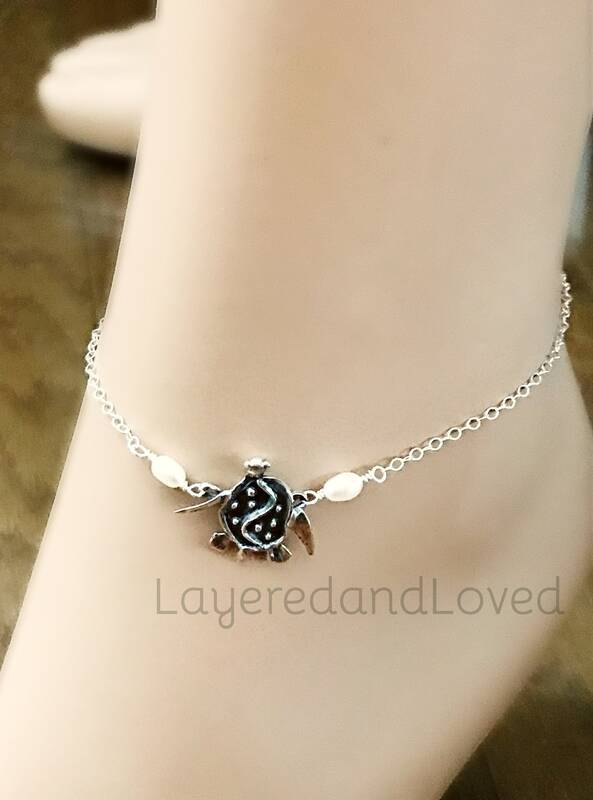 This popular anklet could take up to 1 week processing.